If you’re a chief marketing officer or senior marketing executive, we know you’ve heard of SEO and the major boost it can give your online traffic and revenue. If you’re eager to learn more about SEO — from an executive standpoint — in order to better lead your staff, the “Free Executives Guide to SEO in 111 Minutes” is the solution you’ve been waiting for. Watch, listen and learn how SEO works, practically, so that you can make the best decisions when it comes to hiring an SEO firm or directing your in-house team. The “Free Executives Guide to SEO in 111 Minutes” is available on demand. 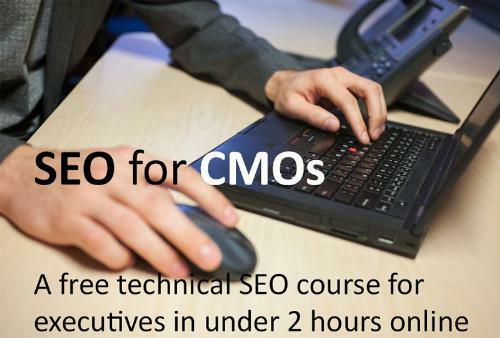 Unlike other SEO courses, the Free Executives Guide to SEO is less about programming technicalities and more about concepts and overarching strategy, designed with CMOs in mind. Use this discount code: NEWS13 to receive $450 off December’s advanced SEOToolSet Training.